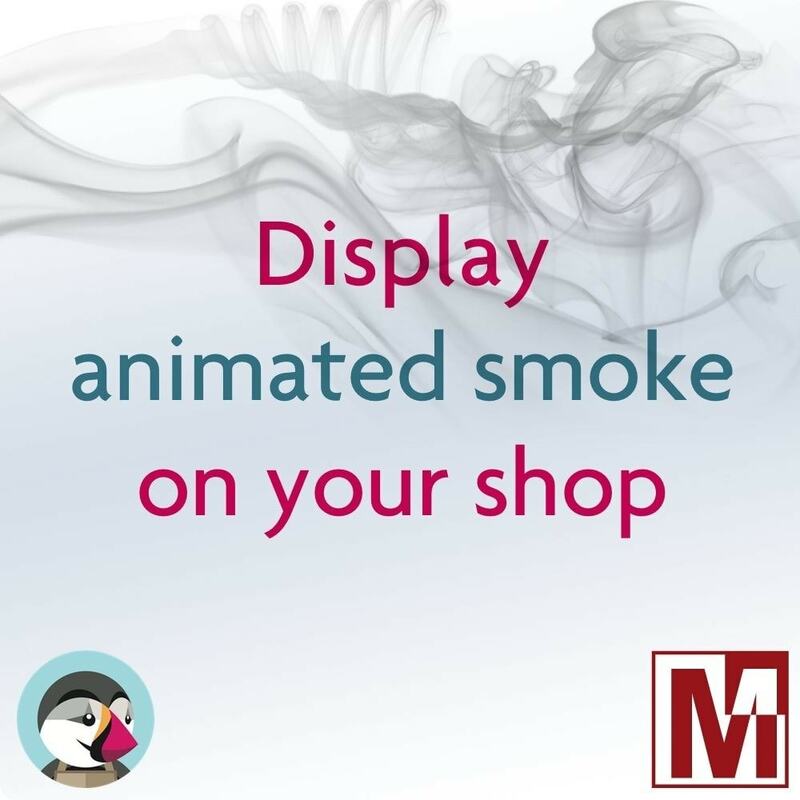 This unique module on PrestaShop will animate your site by scrolling scrolls of smoke on all the pages of your site. 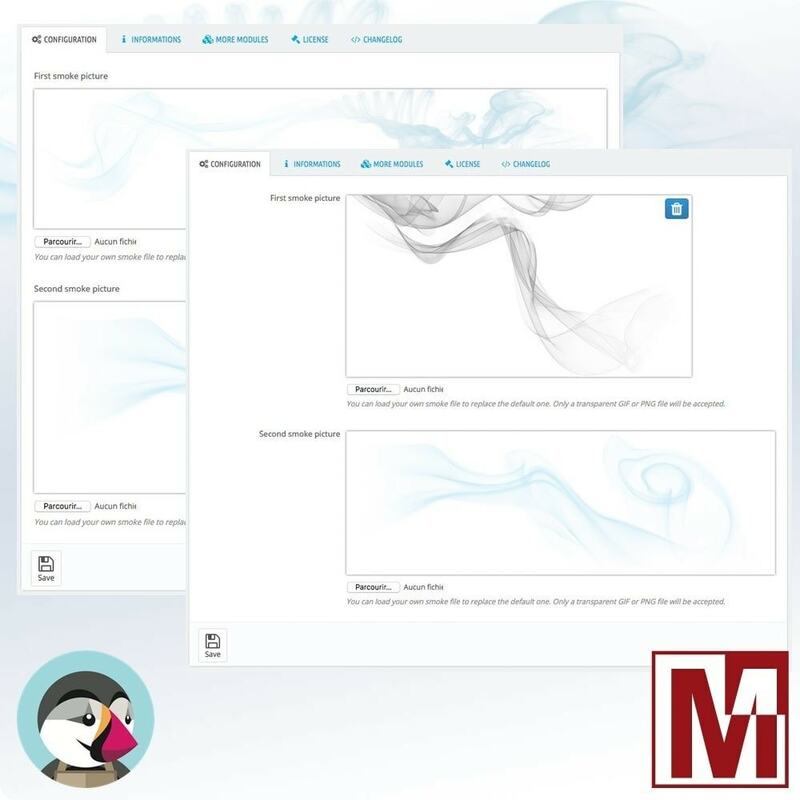 A simple transformation of the design of your site just by installing this module which is provided with scrolls of perfect smoke before finding the ones that will best represent the image you want to give to your brand. Automatically add a scroll of 2 images at the top of your site to bring more dynamism and fluidity. The module allows you to customize the images used for this visual animation. Since this module includes HTML elements on your site, you may encounter visual inconsistencies if you use a custom template. It will then be necessary to intervene at the level of the css to adapt this one and to allow a perfect integration of the volutes of smoke on your site. This module is installed following the recommendation of PrestaShop, no particular constraint.